What if out of the blue, you start experiencing toothache, say in the middle of the night, and your dentist is miles away, what do you do to relieve the ache? To get momentary relief, some of these remedies are worth trying. If a toothache comes with inflammation, you can place a cold compress against your cheek at 20 minutes interval (off and on duration). The cold will render the area numb, which will help reduce the ache. It will also help alleviate swelling and soreness. Cold compresses should provide enough relief to get some sleep, but it will not give a permanent solution to a toothache. If a toothache is a result of cavities or underlying dental problem, only a dentist will be able to solve that. To use clove oil as a toothache remedy, soak a swab of cotton into the clove oil and gently run the cotton ball on the affected area of your gum and tooth. It will help lessen the ache and swelling caused by a toothache temporarily. Clove oil contains a natural anesthetic called eugenol, and that is why this remedy is effective. This remedy only alleviates the painful symptoms of a toothache; it will not solve the problem permanently. It also has a repugnant taste, which may make this remedy an unpleasant option. If your gums are swollen and your teeth aches, consider washing your mouth with lukewarm salt water for respite. Pour a few teaspoonfuls of salt into a cup of lukewarm water, swish the water in your mouth for a few seconds and spit it out. Cold and hot water can hurt if you have a toothache, but warm water is soothing. It will help relieve the pain and ease gum swelling. The results are only temporary. To deal with a toothache, you can use over-the-counter drugs, following the instructions in the package. Try not to move the medication close to the affected tooth because it can cause burning sensation to surround gum tissues, causing further pain. Pain medications are only advisable while preparing for a dentist appointment. If you depend solely on painkillers without getting treatment, the tooth will deteriorate. You need to have your toothache examined by a dentist as soon as you start experiencing a toothache. If you experience symptoms of tooth abscess such as facial swelling, fever, and continual pain and the dentist is not available, visit the emergency room straight away. Although many dental issues can cause a toothache, the most likely culprit is a cavity. Luckily, you can avoid cavities by observing adequate oral hygiene. Also, remember to visit the dentist regularly for dental checkups. If the cavity occurs in your teeth, the dentist will detect and treat it before it starts causing unbearable toothache. The remedies proffered above will only provide substantial relief pending your dentist appointment. However, they cannot solve the origin of the issue. 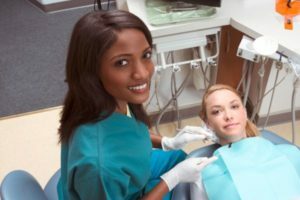 Request a dental appointment here: https://familydentistli.com or call Joel Heller DMD at (516) 340-3766 for an appointment in our Rockville Centre dental office.